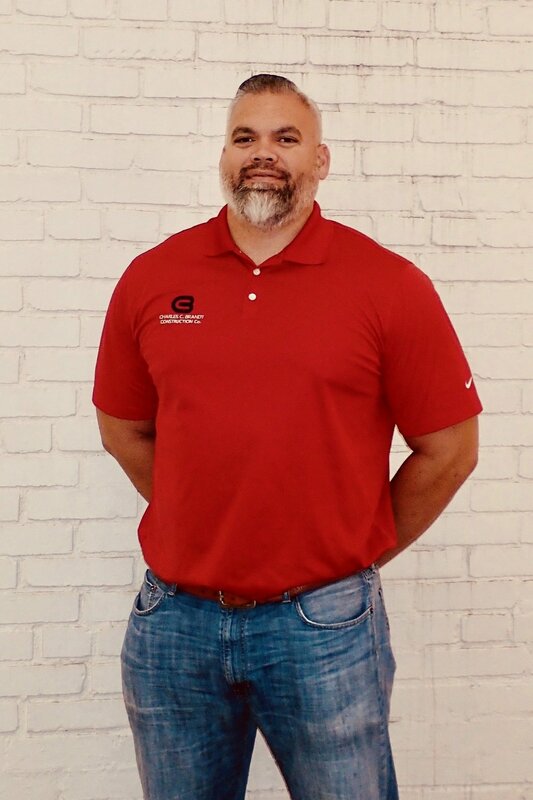 Kapena O'Neal — Charles C. Brandt Construction Co.
Kapena joined our team as the Director of Safety after working as a consultant for Charles C. Brandt since September of 2015. Safety comes first at Charles C. Brandt, and Kapena takes his role very seriously. His primary tasks include visiting job sites each week in order to assure safety compliance as well as being a liaison between the field and office staff on all items safety related. He chose to join our team after seeing first-hand the close relationships and family environment that drives our company culture. Kapena, as you may have inferred, is originally from Hawaii. He has worked in the safety consulting business for many years while holding other jobs including working at Fishers High School and Lawrence Township schools. Standing at 6'8, Kapena holds a sociology degree from Hawaii Pacific University where he received a full tuition scholarship to play basketball. He is also OSHA 500 certified and holds various other safety training certificates in areas such as heavy equipment operations. When not in the office or at a job site, he enjoys spending time at the gym, and time with his wife and their beautiful curly haired young daughter.